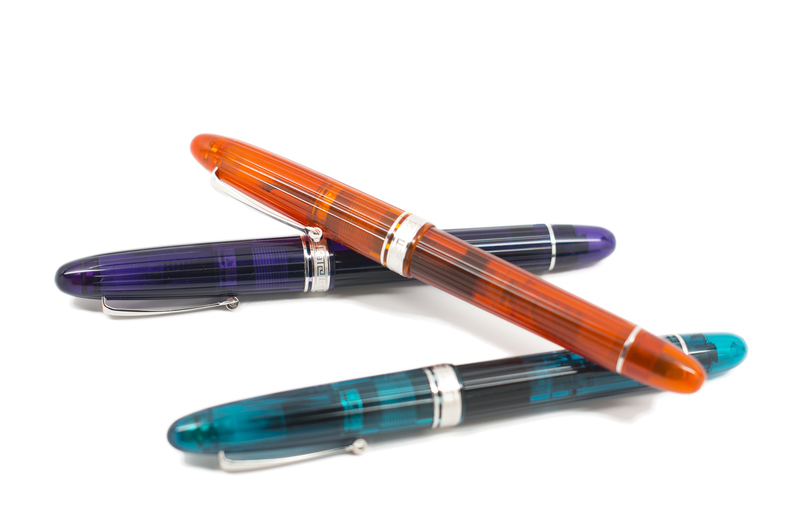 Description: A new, entry level Omas in three bright colors – available exclusively from Goulet Pens through the end of the year! Since hearing about the Omas Ogiva Alba, I was very interested in checking them out. 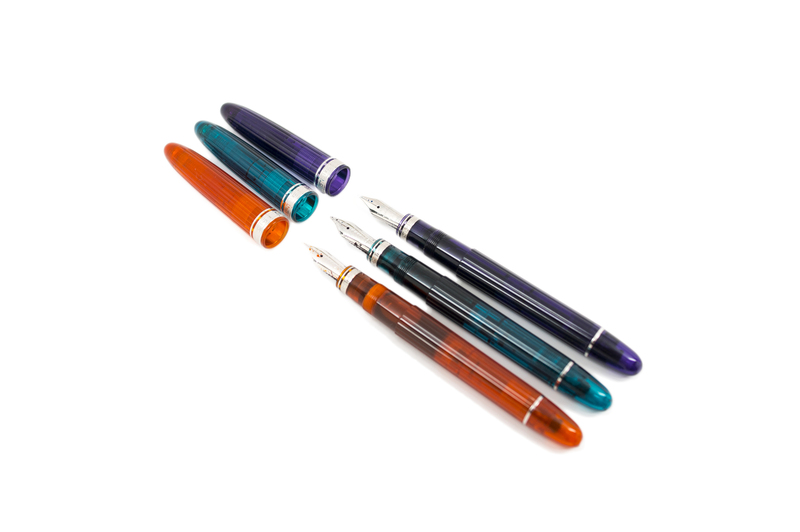 Omas pens typically tend to cost a bit more than the $495 entry fee for these. There are plenty of reasons justifying the price tag, and I’m a huge fan of the brand. 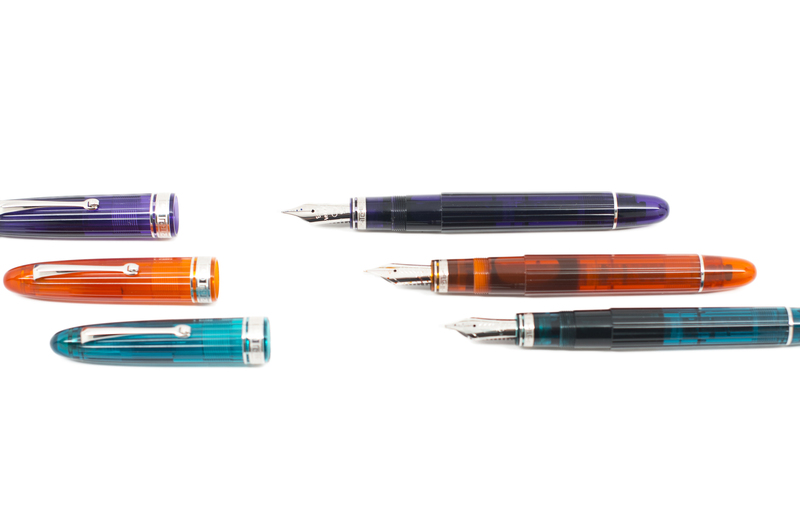 The pens are made in Italy, hand finished, and assembled with love. The nibs are some of the best I have written with as well. Huge thanks to my friends over at Kenro Industries (the US distributor of Omas, Aurora, Sheaffer and Montegrappa) for letting me borrow these beautiful pens for review. Full disclosure – I no longer work for Kenro Industries, but don’t worry, we’re still friends. 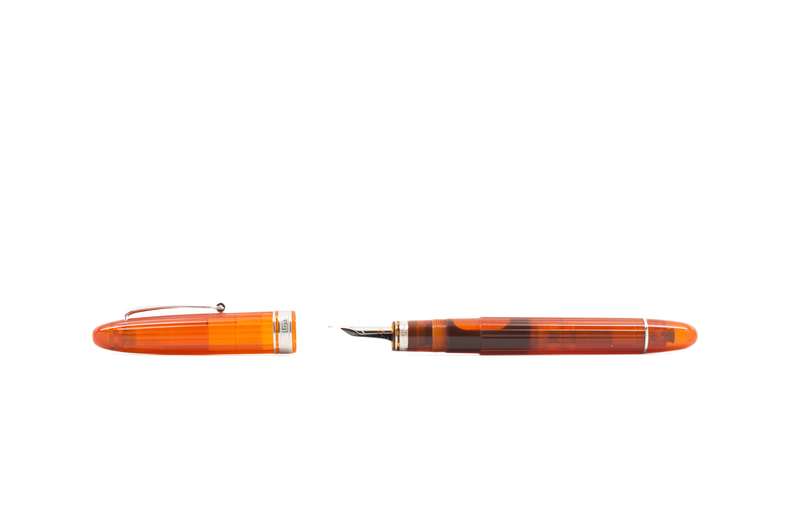 Read on to find out how the Omas Ogiva Alba was and head over to Goulet Pens if you want to pick one up! The first thing that stands out about the Albas is their vibrant colors. I think the teal, orange and purple work together quite well. They’re definitely fun and will no doubt breathe some fresh air into a pen collection full of black and grey pens. 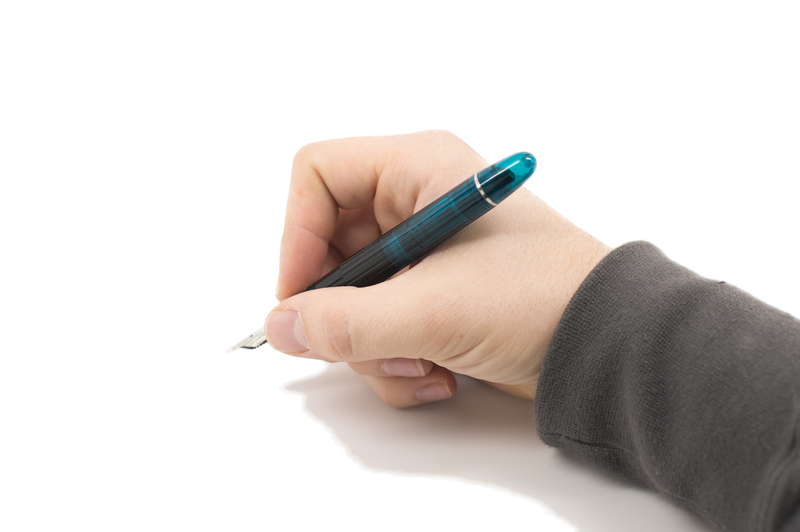 When you look at (and feel) the pen after being blinded by the translucent cotton resin, you will notice that the body and cap are ribbed. Not only does this add some nice tactile feel, but it definitely makes the pen more interesting to look at and bounces light off very nicely. The Ogiva is a classic cigar shaped pen with very classy furnishings. The clip is sturdy and has a built in roller to ease the pen in and out of shirt or pants pockets. I really like how the step from the barrel to the grip is very gradual. 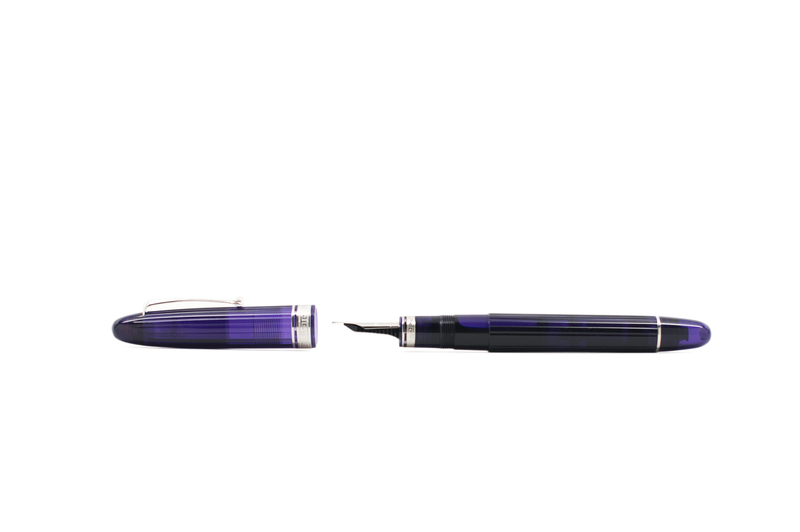 There’s no sharp drop off and the pen looks just as sleek uncapped as it does when sealed up. 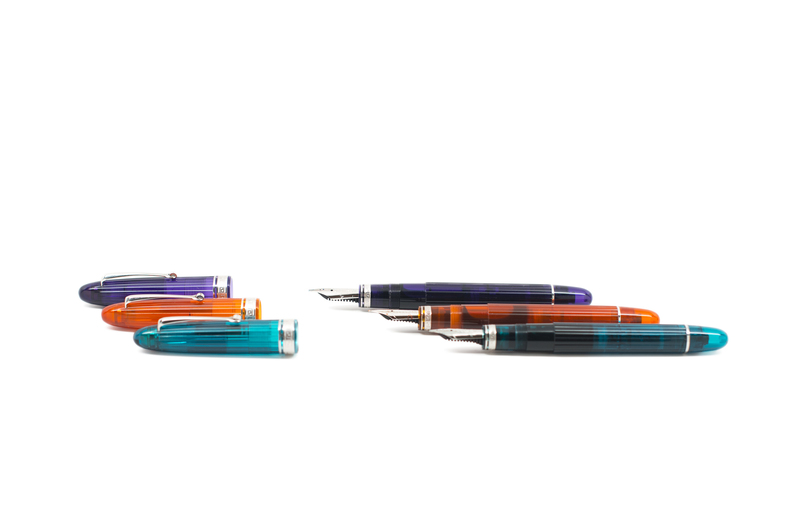 The Albas come in Omas’ standard packaging, which is minimalist and nice. It’s a sturdy box lined with grey felt in a dark grey metallic sleeve. With the holidays coming up, it would make a great gift presentation. In my opinion, Omas has some of the best nibs in the business. They’re all tested and tweaked before leaving the factory and it’s not hard to tell that they really care about the overall writing experience. Omas nibs are definitely wetter than the standard pen, but this adds to the silky smooth experience. I was lent an extra-flexible 14k fine nib, a standard 18k medium nib, and an 18k stub. Out of the bunch, the medium is my favorite. But first, a little about each nib. The 14k nib is extremely soft. When writing in cursive, you can get some incredible line variation when pushing the nib. However, be careful as the softer gold can easily be sprung. 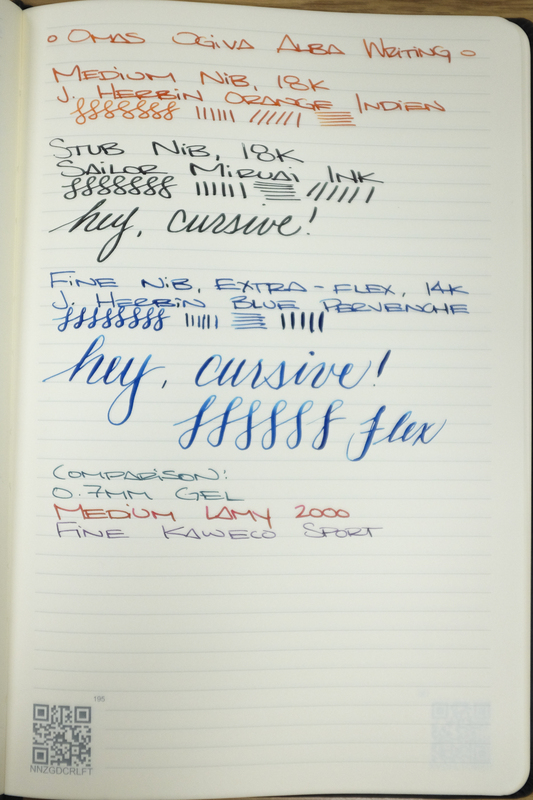 Admittedly, the extra flex was much better suited for cursive than it was with my standard small caps writing. The medium nib is pretty much perfect for me. It’s got a nice huge sweet spot, it’s silky smooth, and has just a bit of spring to it, making for a nicely cushioned writing experience. The flow runs on the wet side, so make sure you load it up with an ink that will behave. I’m not much of a stub guy, but this one is quite nice. It’s buttery smooth and it’s not too sharp at the edges. The pen lays down a nice line and there’s noticeable variance between the cross and down strokes. Overall, I’m extremely happy with the nib performance. They definitely hold up to my Nakaya and my all-time favorite Lamy 2000. The Ogivas fill via piston, which is smooth to turn and holds a ton of ink. 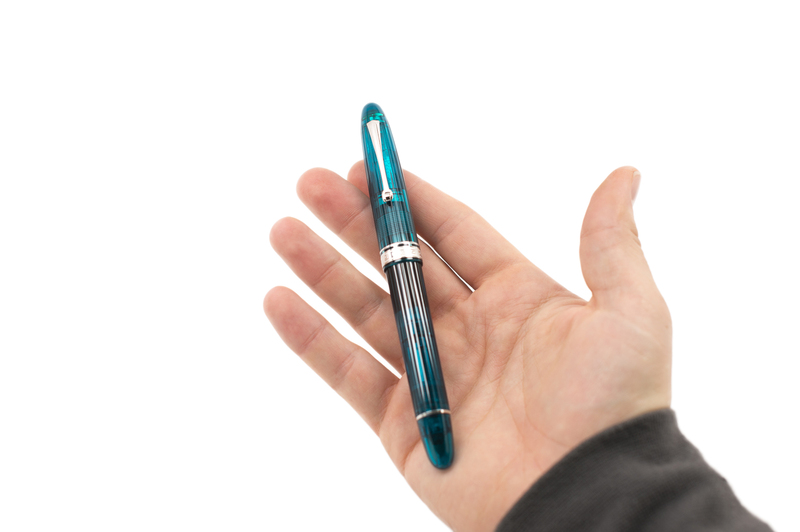 The translucent resin allows you to see your writing fluid of choice sloshing around inside the pen body. No complaints here and the large ink capacity is a good thing, especially when the pens tend to run wet. The Ogiva is a classic cigar shaped pen. The cap is capable of posting, but I prefer the length and balance without doing so. It’s very close in size and shape to my Pilot Custom 823, which I really like. It’s not an oversized pen, but it’s not small. Definitely right in the middle of the road. I’d say my hands are average size just to give you some scale. The fit and finish are both superb, there are no seams, no marks – just nicely polished and textured cotton resin. The pen is nicely weighted and balanced as well. My only issue with the entire pen is that I wish the grip had a taper at the end. I’ve found myself subject to inky fingers because of the straight grip. It’s definitely not an issue, but a personal preference. The Omas Ogiva Alba is a great pen. 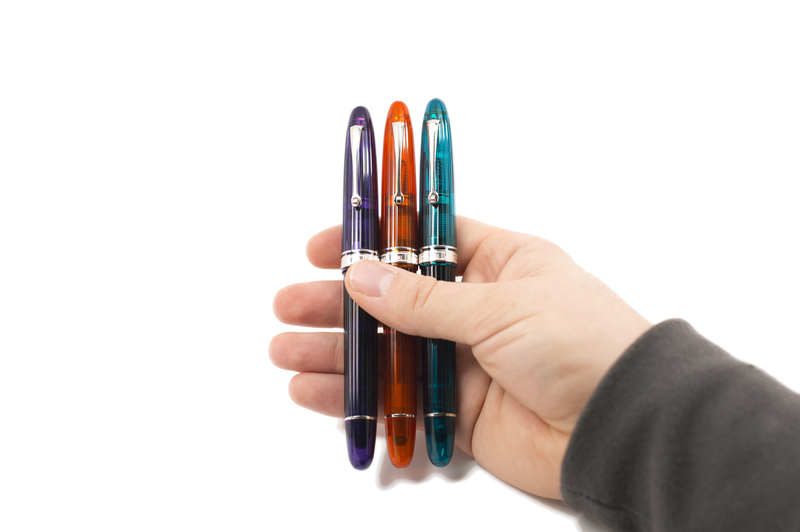 There are a ton of different nib options and the three colors are fun and refreshing. The fit and finish are on point and you can really tell that the people who make these pens care. At $495 it’s not a no-brainer, but if you’ve been interested in the brand and would like to see what the fuss is about with a relatively low barrier to entry for an Omas pen. You will not be disappointed by the writing experience. Pick one (in each color?!) 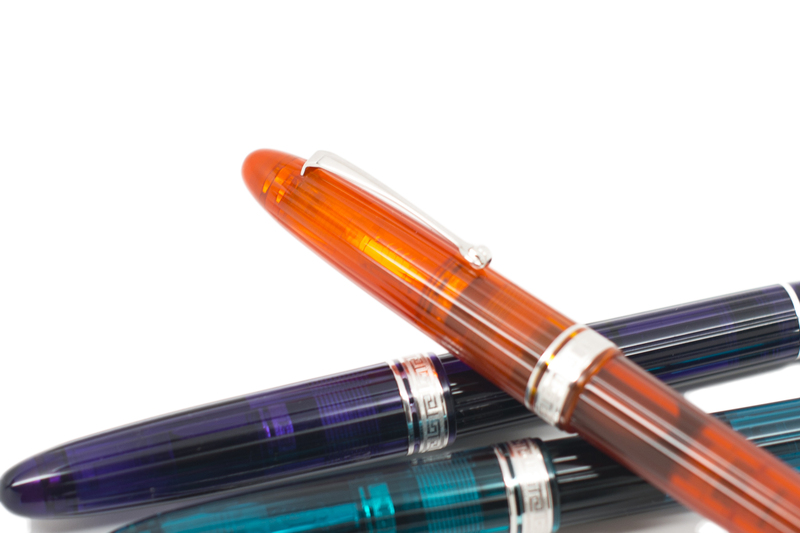 up at Goulet Pens – the exclusive retailer until the end of the year today! Disclaimer: This pen was provided to me as a loaner for review purposes by Kenro Industries. All opinions are my own. Those are charming looking pens! Great colors. Out of my price range, though. Happy Thanksgiving, Ed! Great review, Ed. I’d love to try out some Omas, but they’re just more expensive than I’m comfortable spending on a pen. The ones that I’ve used are fantastic, though. Planning on getting the orange for Valentine’s Day!